Palirria has a strategic orientation towards exports and global market presence. Today, exports represent more than 80% of the company’s sales revenues and the percentage is constantly increasing. 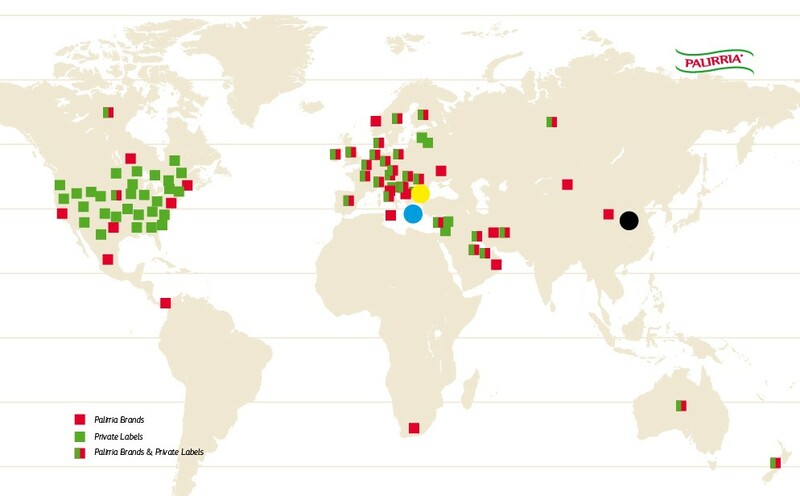 Throughout the years Palirria enhanced its global presence and currently its products can be found in more than 50 countries around the world including European countries, United States, Canada, Middle East and Australia.